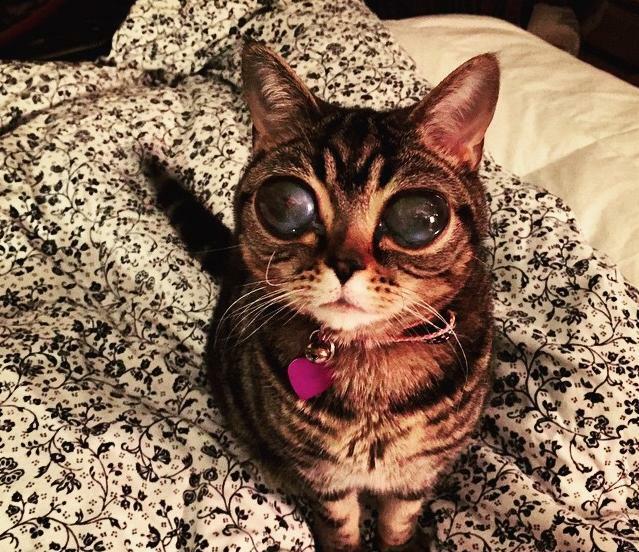 This cute and beautiful cat with big eyes is Matilda who has a very rare ocular condition which caused her eyes to become bigger than their normal size. She is already 2 years old and her condition seems to not effect her because she is as active as she can be. 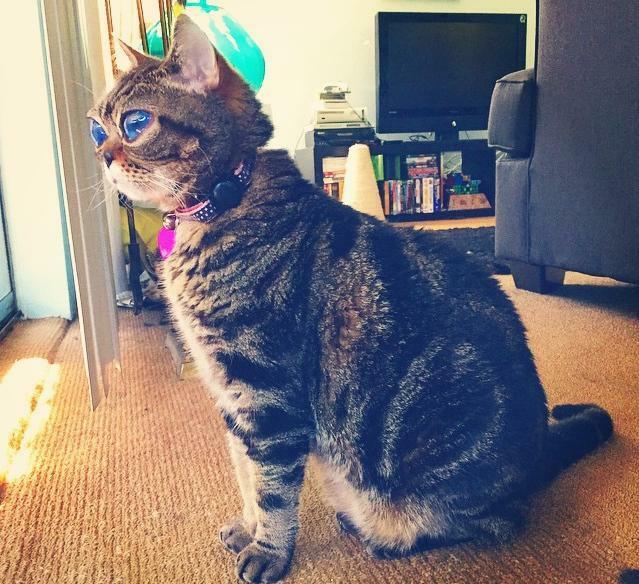 According to Matilda’s owners when they adopted her two years ago, her eyes were healthy and perfectly normal. 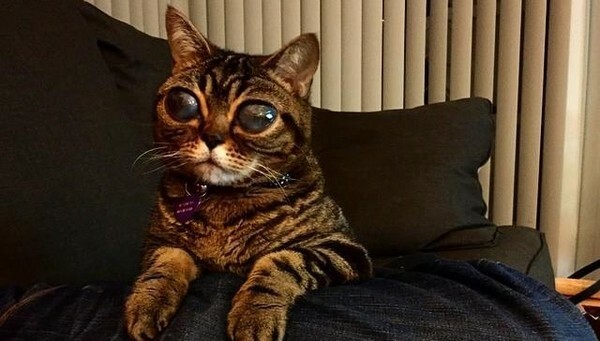 But one day they got worried when they noticed that her eyes became totally black so they sought help from an animal doctor to explain her condition and rule out possible illness their cat may have. 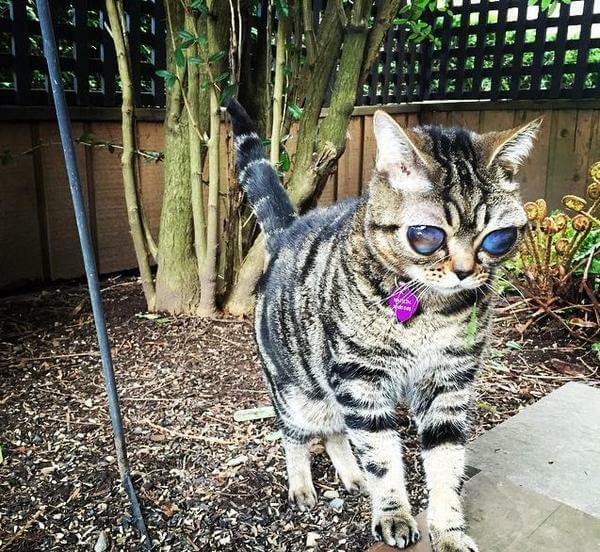 The specialist then found out that Matilda has a spontaneous len luxation, a condition wherein the lens are disconnected from the rest of the eyes for no viable reason. 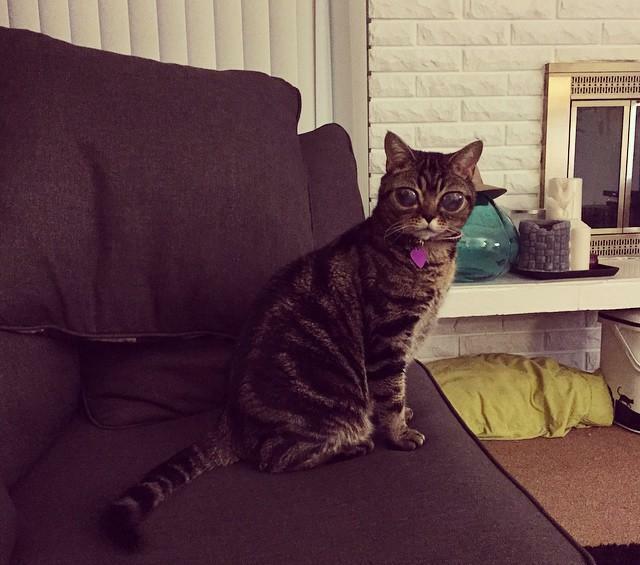 This became a mystery for the family since the cat does not show any alarming behavior and pain. Matilda’s eyes are slowly getting bigger yet it is still unexplainable why. 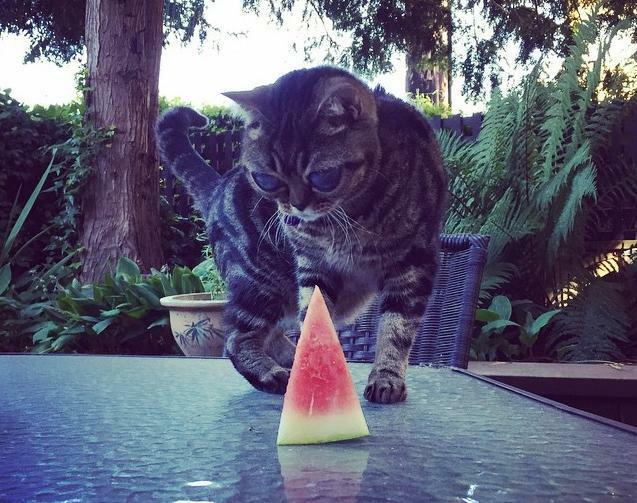 However, Matilda’s family is in constant monitoring of their cat’s condition and is keeping updates with her veterinary eye specialist who also is a bit perplexed about the condition. 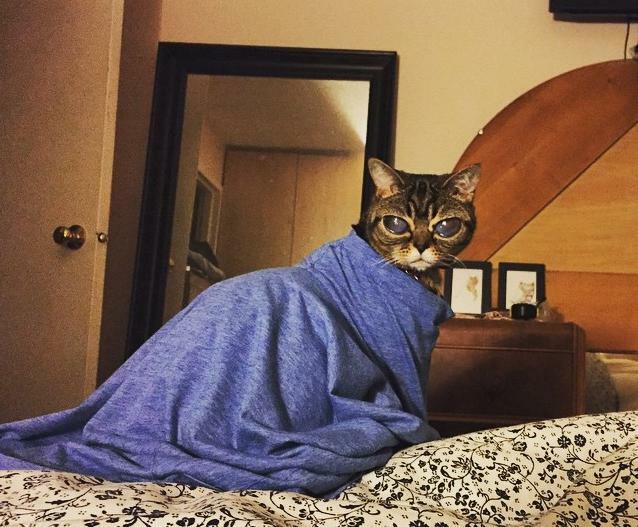 They sought answers about their loving cat’s mysterious condition and asked help on different sites such Facebook, Instagram, and Reddit. They also created a website devoted to Matilda. 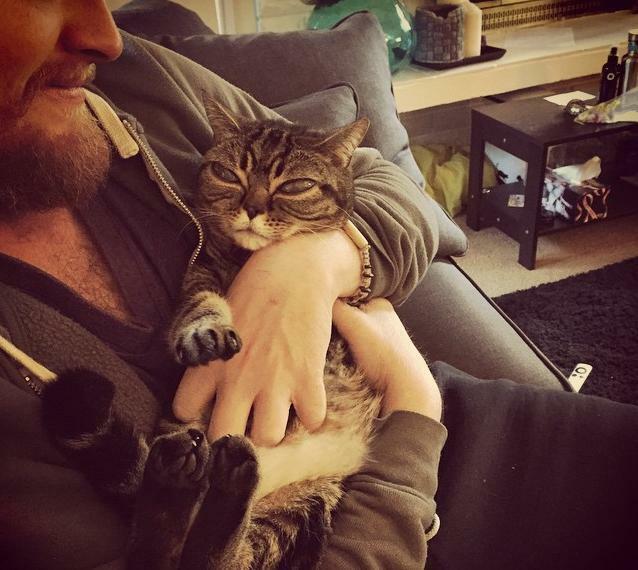 It was luckily that in spite of Matilda’s alien like appearance, she is not suffering from any pain and she behaves very normal like any other cat. Nevertheless, the family doesn’t take Matilda’s condition lightly and they are in constant monitor on his behavior and are updated with her check-ups and shots. In her website, all the details and updates about her condition is written. The family never denies the fact that if her condition gets worse as her eyes becomes bigger and pressure will be eminent, they are open to let her undergo a surgery. But as of now, all they have to do is wait and observe and make sure that their cat stays healthy, until all their questions are answered. In her website, some of her adorable and cutest photos are posted for those who would love to see it.